Welcome, teachers. 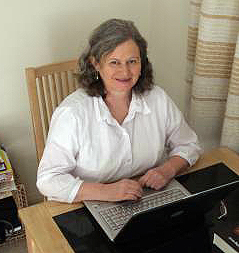 Thanks for visiting my website. If you would like to request a school visit, please note that I am now being represented by the Creative Net Speakers Agency. On this page you will find some suggestions for classroom activities based on the following books The Sky Dreamer The Captain Clawbeak series of illustrated novel. 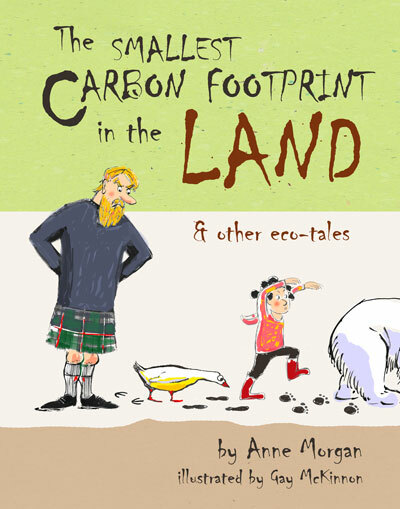 Teachers’ notes for The Smallest Carbon Footprint in the Land and Other Ecotales are currently under development, and will be ready soon. “This is the most entertaining collection of recycled fairy tales I have read in centuries.” – Betty Fairweather, manager of the Fairy Godmother Op Shop. I am currently working on classroom activities for the Ecotales, which will be linked to the Sustainability Strand of the Australian National Curriculum, but just to get your started, I have described each of the nine ecotales below, and suggested some topics for discussion and investigation. A prince who is potty about gardening wants to marry the young woman with the smallest carbon footprint in the land. And that footprint just happens to belong to Cindy because her opshop slippers are made from diamond (a form of carbon) and her step family won’t let her go anywhere. Why does growing your own food and using second hand goods reduce your carbon footprint? How does opshopping reduce your carbon footprint? Space Cadet Messy Lox sails her space bug around the Ursa Minor Galaxy. She discovers a large planet which is too hot, a middle sized planet which is too cold, and a baby planet which is JUST RIGHT. But when she starts to pollute it, the three bears decide they will teach her a lesson. A poor fisherman named Gus pulls up a bottle in his fishing net. When he takes out the stopper he discovers, out blings a genie named Bling, who promises to fulfil his every wish. But what Gus does not know is that as he becomes richer, bling dust will kill off the birds and fish of the ocean. How do consumerism and pollution affect other people on the planet? Little Emerald Ryding-Hoode sets off through the forest carrying a basket of muffins for Grandma. On the way an endangered wolf steals a muffin and runs away. Then Little Em meets her cousin, Little Ruby, who claims that the wolf has eaten grandma and dressed in her clothes. Finding this impossible to believe, Little Em continues to grandma’s cottage and arrives there just in time to save her uncle from killing the wolf, which Grandma has been protecting. How and why we should protect endangered creatures. Juzzy and his widowed mother are so poor they would starve if it weren’t for Clarissa, their milking cow. When Juzzy’s mother becomes sick, Juzzy is too lazy to milk Clarissa, and her milk dries up. On the way to the market to sell Clarissa, Juzzy meets Jack and trades her for some giant beans. Juzzy climbs the magic beanstalk and meets a very tall man named Gordon, who is heartily sick of boys climbing the beanstalk and trying to steal things from his organic farm in the clouds. Why is it good to grow and eat organic food. Colonialism and the ethics of plundering the treasures of other cultures. Princess Priscilla wants the palace gardener to poison some bulrushes in an ornamental frog pond. He does so, reluctantly, and then resigns. When Priscilla drops her golden ball in the pond she makes a bargain that anyone who will retrieve her ball from the poisoned pond can be her friend and live with her in the castle forever. A very sick frog prince pushes her ball out of the pond. That night, she turns into a frog princess herself, and discovers how terrible it is to live in the poisoned pond before she agrees to marry the frog prince and live happily ever after. A wolf posing as a travelling salesman visits the three little porkies who have each build themselves a house. The wolf tries to persuade them to power their houses with sustainable energy. But when the wolf turns nasty, the three porkies know what they will use to power their houses – WIND POWER!! Cool Girl runs away from Queen Beatrix, her wicked stepmother and seeks shelter on a sustainable farm in the Lanternlight Forest. This farm is run by seven short, but very talented brothers. Cool girl has such a great time learning how to grow and preserve produce, and cooking it, as well as singing along to the brothers’ band. Prince Percy rescues her from Queen Beatrix, who tries to kill her with a poisoned apple, but Cool Girl decides that instead of marrying a prince, she wants to keep singing with the Sensational Seven. Chicken Licken is splashed by a wave and decides the sea level is rising. He sounds the alarm, and he and his mother, Henny Penny, and his fine feathered friends go to visit Farmer King to find out what is making the sea rise, and if they can stop it from rising any further. 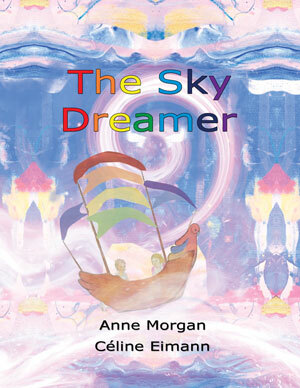 A free pdf of classroom activities for The Sky Dreamer can be downloaded from the publisher’s website (IP Kidz). “In a very sensitive and gentle way, this book invites the reader to experience the journey of a child coping with grief after the death of a sibling. On the night before Liam’s birthday he experiences a dream connection with his sister, Cassie as she arrives in her boat the Sky Dreamer, floating just outside his window above a silver ghost gum. Cassie welcomes her brother aboard and off they sail into many adventures while Cassie sews her brother a birthday present. As they journey through the sky, Cassie encourages Liam to learn to sail the Sky Dreamer by himself through the many hazards of thunder, lightning, meteorites, past distant planets and comets. Gradually he gains confidence to steer on his own and all the while his sister sews his birthday present. As daylight appears, Liam leaves the Sky Dreamer with his special birthday present, which will brighten his life. Liam’s journey with Cassie in the Sky Dreamer is a beautiful analogy of a child’s journey through the grey times of the grief to very gradually learning to live without a sibling and once again experience the sunny, happy times. The dreamlike quality and changing colours of the beautiful illustrations reflect the emotions that Liam experiences as he learns to steer the Sky Dreamer. His stark, grey world of grief is mirrored in the grey tones of the background as he stares at the cloud formations in the sky. 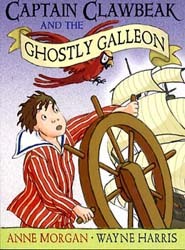 This contrasts with the changing colours in illustrations throughout the narrative, ending with the sunny colours of the final illustration. This beautiful book very gently explores the process of loss and healing and would be very comforting to share with a child going through this process.” – Margaret Warner, Buzz Words. 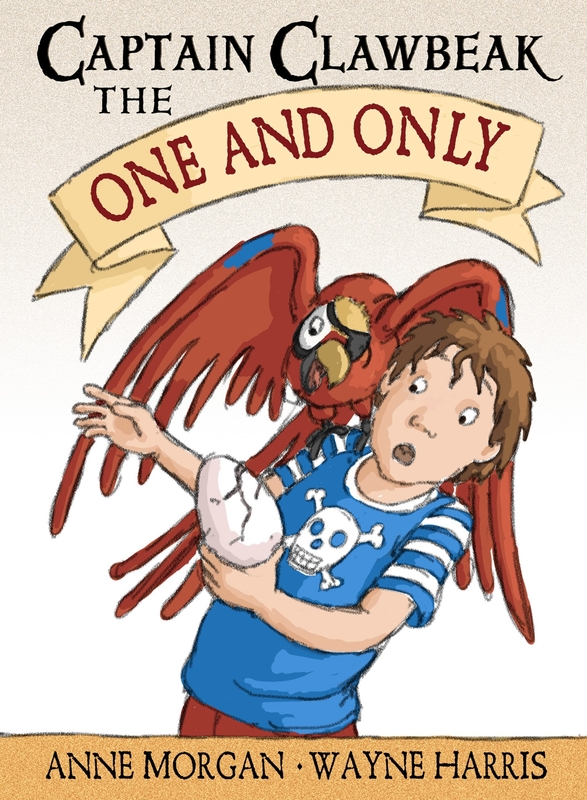 The Clawbeak books are funny, pacy adventure stories for children aged 5-12. With a treasure trove of illustrations by Wayne Harris, Clawbeak has been known to capture and hold to ransom the imagination of even the most reluctant of readers. Even a shipload of bloodthirsty, octogenarian pirates have been known to trade in their rusty cutlasses for library cards after getting hooked (?!) on reading by the Clawbeak books. The Clawbeak books build on the adventure stories of yore in a way that will appeal to today’s beginning readers and inspire them to embark on a lifetime of reading adventures. They also provide fertile ground for the development of inter-disciplinary classroom activities in literacy, numeracy, society and environment, science, technology, visual arts and crafts, music, health and physical education, dance and drama. Written by Anne Morgan, illustrated by Wayne Harris, Random House Australia, 2007. David Rish, Tasmanian children’s author. 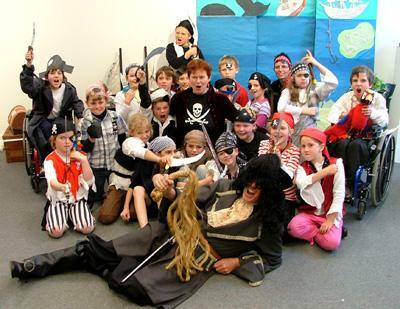 The pirate theme works brilliantly with primary school children from grades 1-5, and teachers can find a wealth of piratey ideas and teaching resources elsewhere on the web. Here are two literacy-based classroom activities. Make or procure a ‘sea chest’ for the classroom. Oganise a ‘doubloon-making workshop’. Each ‘doubloon’ will be a circle of cardboard, painted gold or silver. Whenever the kids read a book, they write their name and the title and author of the book on a ‘doubloon’ and drop it into the treasure chest. For younger children, a silver coin can represent a picture book and a gold coin can represent a chapter book. When the treasure chest is full, the class can dress like pirates and have a pirate party. Ask the children to give themselves a pirate name. Ask them to draw a picture of themselves in pirate clothes. What’s the name of their pirate ship? What does the pirate wear? What does the pirate eat? What musical instrument does the pirate play? What does the pirate love doing more than anything? What does the pirate dream about? Describe the other pirates on board. What is the name of their parrot? Why did the parrot fly away to sea? What does the pirate fear most? What does the pirate want most? Ideas from Jenny Webster, Grade 3 teacher Gidgegannup School , WA. Before reading Captain Clawbeak and the Red Herring, brainstorm nautical terminology and any information or ideas children already know about pirates. During reading, add new terms and ideas. “Treasure Island” by R L Stevenson (modified version for younger children). Write the name of the character in the middle of the web. Write character’s traits and character descriptions on web lines leading away from the web. Compare old nautical with modern eg ways words are no longer used as technological changes are made. eg galleon – frigate, cannon – rocket launcher . Make models of pirate ships. Draw a large pirate ship on large cardboard eg use recycle fridge box. cloth for sails. Dowel or popsticks for masts. Strips of card painted brown as planking for boat. Create a wax resist crayon painting of favourite scene. I am a pirate king (Gilbert and Sullivan) Sing parts and act out pieces. Treasure Chest:Coins : money (maths) sort gold and silver coins. Make own coins. Use chocolate money coins to put in treasure chest. Play money bag game: who has the most money after selecting coins from the bag. Design on picture for new coin. Parrots: Research macaws. eg where they live, foods eaten. Sinking and floating : plasticine shapes. Research major changes to water transport. Paddle- sails – steam engine – petrol engine. Cut out pictures or view pictures and compare and contrast design changes. Design and make a chest for own treasures using “hinges” eg use shoe boxes. Place in pirate belongings Eg photo of mum, feather, letter etc. recipes, maps, photos of Mum telescope, pictures of ships, pirate games etc. Make large treasure chest for “special objects”. Paint and glue pieces of card or balsa wood on outside of chest to make authentic. Make a model of the two boats to go in a tub of water. Look at different pirate flags. Eg Jolly Roger – Blackbeards. Compare and contrast (similarities and differences) Discuss why flags were needed. Create own island and coordinates eg where the treasure is hidden. Use descriptions from the story to create own treasure island maps. These approaches to the Clawbeak books are based on Gardener’s Multiple Intelligences : a thematic approach. Gardner bases his ideas on that traditional western teaching concentrates on mathematical and linguistic teaching. Gardner’s theory values a range of intelligences therefore accepting and widening the range of children’s talents and abilities.